Elegant. Intimate. Brilliant blue ocean. Designer shopping. Luxury hotels and homes. Exclusive condos & real estate. Around the world, Bal Harbour is famous for its glamorous centerpiece Bal Harbour Shops, a mecca for fashion labels and leisurely lunches. Lucky residents also know it as a village and sliver of paradise along one of the most beautiful patches of beach on the east coast. Established in 1946, its borders of the Atlantic Ocean, Intracoastal Waterway, 96th Street and Haulover Inlet fit neatly within a square mile. The compact size, upscale demographics and top-notch police department, have resulted in low crime, meticulous landscaping and well-maintained infrastructure and services. Often owning multiple homes, residents choose among oceanfront high-rise condominiums, the Intracoastal’s single-family mansions, and midcentury modern properties that fill the interior. Aside from the outdoor mall with tranquil koi ponds, they enjoy a $3 million jogging track along the beach, Movies on the Beach and Bal Harbour Art Nights, a monthly event series during season. Beach yoga, pilates and numerous water activities are part of daily life, too. More spas and restaurants occupy some of the region’s best resorts such as St. Regis and One Bal Harbour. Several schools are located as near as Bay Harbor Islands to the west and Surfside to the south, which features a community center with pool and 96th Street Park with waterfront playground. South Beach and Fort Lauderdale are a convenient drive 20 minutes in either direction without taking the freeway. 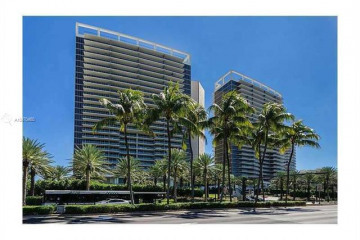 Click here to view homes for sale in Bal Harbour.